I have to come clean: I don’t care for recipes. The only time I ever really use recipes is when baking, and/or when I am figuring out how to document what was the best version of something I made in order to post it on this blog. My everyday cooking is much more likely to be shaped by what’s in the fridge or pantry at the time, and what I’m feeling that particular day. It’s casual and easy. Don’t worry too much about the quantities of the ingredients on this one. This particular “recipe” is more of a “delicious combination of things” than a “follow this to a T” formula. If you love goat cheese, pile it on. If you love honey, soak these suckers in it. I have made these little crostini heavy with goat cheese and honey, with just a few blueberries on each toast, and I have also been known to make this recipe one crostini at a time, with just a scraping of goat cheese, and so many blueberries piled on top that I had to eat it standing up, leaning over the sink as I crammed the toast into my mouth, blueberries tumbling off the sides. No shame. So take it easy on this one, and make it as you like, enjoying the flavors of sweet honey, earthy thyme, fresh goat cheese, and the wonderful, juicy pop of summer blueberries perched atop a crusty french baguette slice in any quantity you’d like. The perfect no-cook summer breakfast or afternoon snack. 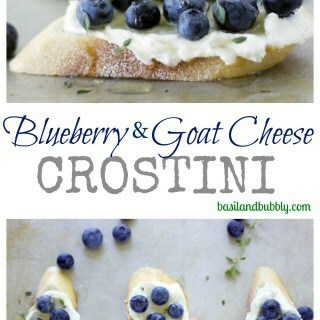 Lightly push blueberries into the goat cheese, so they don't roll off when you pick up a piece. Sprinkle a pinch of thyme leaves over each completed crostini. YUM! 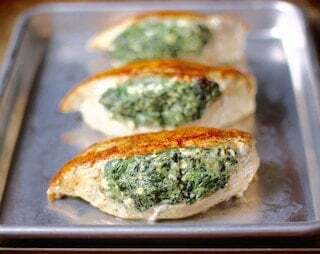 Finally a recipe even kitchen-challenged aunts can get behind! your pictures are so nice! 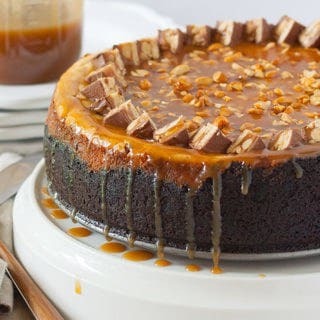 and that looks yummy! my mouth is watering! these look amazing! Not only do these look very pretty, but they also sound really good!